Composite , reinforced fibre, reinforcing, dehumidifying cement mortar, for the structural renovation of vintage masonry or dilapidated monuments. UNISAN is composed of grey cement binders, selected aggregates, specific agents, alkali resistant fibres. It brings together in a single product, the characteristics of compression strength (23 N/mm²) and the dehumidifying quality of a macroporous plaster. UNISAN allows for the vertical reinforcement of masonry walls, by "reinforced slab", using only one product which renovates and strengthens at the same time. Construction of plasters and reinforced slabs in interventions of restoration, construction of plaster and dehumidifying coatings with high performance, bedding of bricks and modular elements. The surfaces should be clean and free of any soiling, crumbling and non-adhering parts, dust, etc., conveniently saturated with water until they reach the condition of "saturated dry surface". In the case of structural reinforcing slabs, you will need to proceed with applying an appropriate reinforcing electrowelded mesh, to be fixed with PROFIX, GROUT MICRO-J, REPAR TIX G2 or SYNTECH IC 55. Pour about 2/3 of the mixing water into the mixer, add UNISAN and the remaining water; continue to mix until a homogeneous lump-free mixture is obtained. The mixing water should be about 12-14% of the weight of the bag. After mixing is completed wait a few minutes before applying. 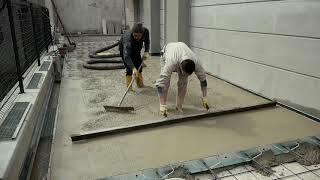 Apply the product by plastering trowel and brick trowel, or preferably with plastering machine (type PFT model G4). Do not apply in case of direct exposure to sunlight or excessive ventilation. Cure the protection and the prolonged moist hardening, of exposed surfaces. 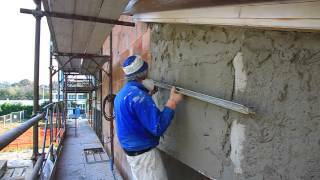 Dehumidifying, thermo-insulating plaster (800 kg/m³), with a natural hydraulic lime base. Ideal for hygrometric, anti-condensate renovation of internal walls (overground and underground). Breathable plaster (1500 kg/m³), with a natural hydraulic lime base. Ideal for plastering overground or underground walls, both indoors and outdoors. Dehumidifying plaster (1200 kg/m³), with a natural hydraulic lime base. 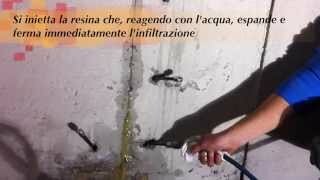 Ideal for hygrometric renovation of external walls. Recommended! Thermo-insulating, dehumidifying plaster (600 kg/m³) with a natural hydraulic lime base, expanded perlite and cork flour. Ideal for thermo-insulating, anti-condensate renovation of external walls overground. Absolutely recommended! 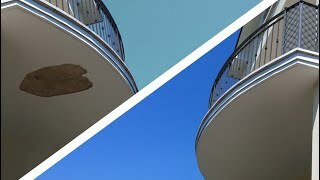 Structural plaster (1700 kg/m³), dehumidifying, with a pure white cement base. Ideal for reinforced grout on old walls and the re-construction of overhanging roofs, belt courses, cornices, etc.